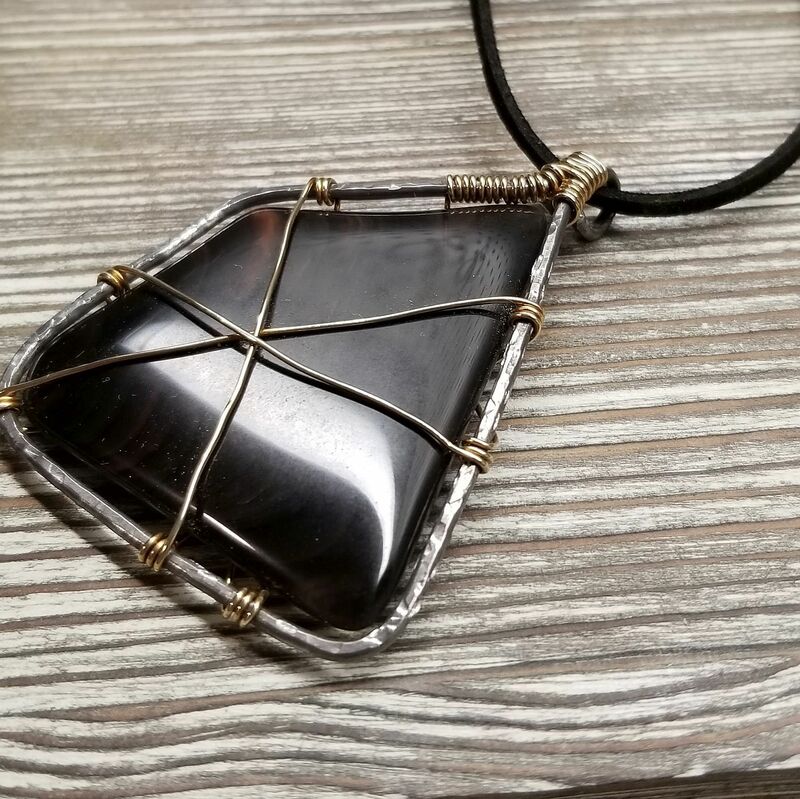 This beautiful Mahogany Obsidian pendant features a large , flat, high-gloss stone that has been minimally wrapped in brass wire to allow the beauty of the stone to really shine through. 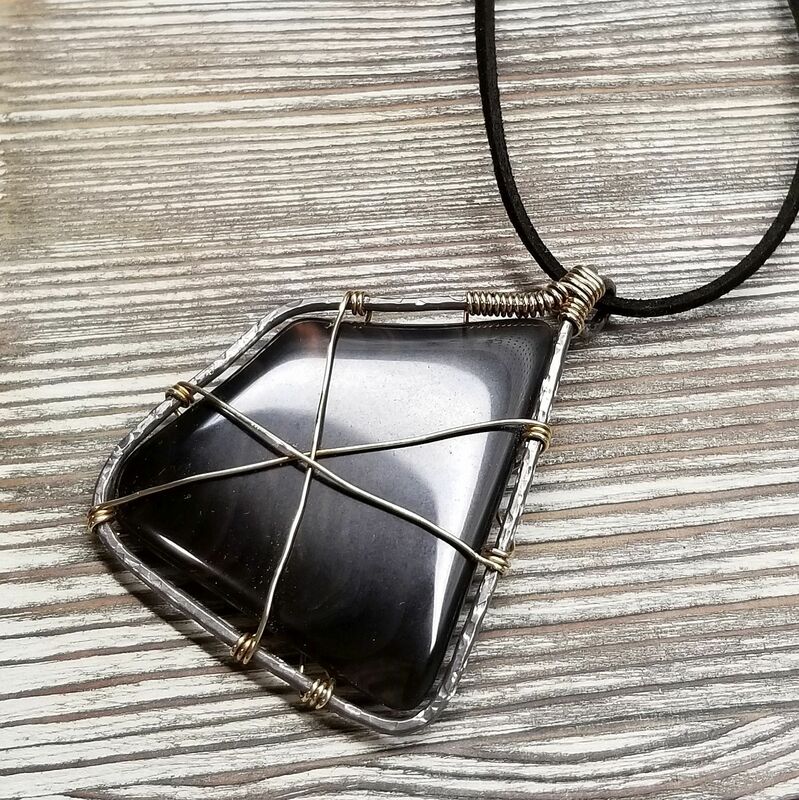 Each of my stone pendants is framed in a handcrafted annealed steel frame that I form to the individual stone in order to reflect it's own, individual style and personality. Strung on a flat, black, faux-suede cord and tied off for simplicity and comfort of wear.